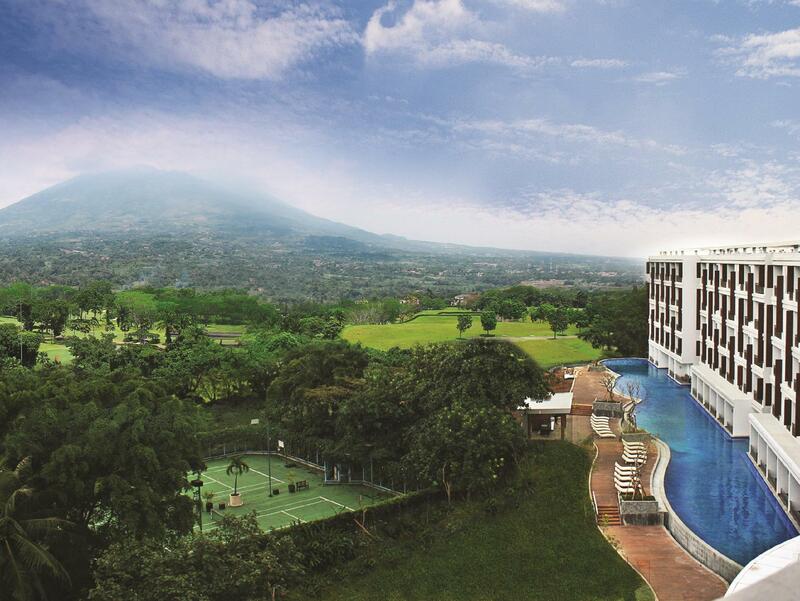 The Rancamaya Golf & Country Club is perfectly located for both business and leisure guests to Bogor. The Rancamaya Golf & Country Club boasts a convenient location with modern amenities in every guestroom and superb service. Each guestroom features amenities such as non smoking rooms, air conditioning, bathrobes, desk, hair dryer, television LCD/plasma screen, bathtub, shower. This beautiful Bogor accommodation provides coffee shop, laundry service/dry cleaning, meeting facilities, restaurant, room service, valet parking, concierge, WiFi to suit all guests' utmost convenience. Hotel's guests can experience on-site latest leisure and sports facilities such as massage, pool (kids), jacuzzi, kids club, golf course (on site), gym. These top-class facilities are complemented to excellent services to meet the needs of visitors to Bogor. To reserve a room at the Rancamaya Golf & Country Club, simply select your dates of stay and fill in our secure online booking form.